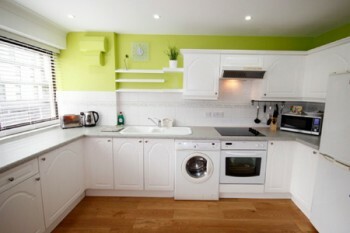 Serviced apartments have a washing machine to the kitchen, an iron and ironing board (no phoning down to reception to ask and then wait for delivery! ), complimentary toiletries and some even offer a complimentary pair of slippers. All you need to help lighten your load! When packing for a business trip, the advice of many is to use carry-on only. As George Clooney’s character in the romantic comedy, Up In The Air, points out you lose 35 minutes a flight checking-in your suitcase. Additionally, checking-in luggage means that there is always that potential risk of it getting lost, which is a not what you want when on a full schedule business travel. Choose a sleek, dark coloured bag (compliments your work outfit and stays looking clean longer) that has wheels. Even with todays travel restrictions, it is possible to go on a business trip for one to three nights taking with you nothing more than your carry-on bag. Save money on checked baggage and avoid extra hassle at the airport. Having a small carry-on can be tougher for women, but not impossible. Bring items like blazers, scarves or accessories so you can change your look and adjust to the temperature. Staple items such as a plain coloured skirt and blazer can be worn multiple times with these extras. Traveling with a low cost airline? Save on checked-in baggage fees. Using any form of public transport is so much more manageable with just one small suitcase too. Less stuff means greater mobility, thus more options. Make a packing list of what you need matched to your schedule. Travelling light is a skill comprised of a large number of considerations. Take no more than will fit in a surprisingly small bag – whose weight has to come in at 20 to 25kg’s (check airline rules before flying). Why a packing list? This is to help you ensure that nothing important will be forgotten and that you pack only items that are essential to the journey. Taking your checklist with you on your travels can also be useful when repacking to avoid leaving anything behind. Don’t pack a hairdryer or toiletries – serviced apartments provide these as standard. Invest in non-iron shirts or tops – however, any irritating creases can be ironed-out by hanging your shirt on a hanger in the bathroom when taking a shower and you will be surprised at how well steam works creases out of clothing. But, make sure it is thoroughly dry before wearing to avoid further creasing. Or, use the iron available in your serviced apartment! Packing an extra pair of shoes in addition to those you will be wearing? Shoes are the trickiest to pack as they usually take up the most room. To avoid the dirt from your shoes rubbing off onto your clothing, consider putting them in lightweight, inexpensive, drawstring bags. Pack the lightest pair and travel wearing your heaviest pair if reasonable to do so. Another useful shoe-packing idea, especially for those wanting to carry athletic shoes, is to tie them to the handle of your bag rather than pack them inside. Not only does this save significant space in your bag, it also keeps odours and dirt to the outside of the bag rather than having it share space with your clothing. Use a compression bag for tops, roll up a belt and place in the collar of a shirt, roll-up underwear and put inside your second pair of shoes to save space and so that your shoes maintain their shape and keep jewellery in a pouch to avoid damage or hooking onto clothing. Put a dryer sheet in your bag to keep your possessions smelling fresh. For the men – pack one tie that matches your shirts. Black or charcoal suit can easily be matched with black socks and a black pair of shoes. The same theory applies for women – pack a suit that can readily be matched to different changes of tops and accessories to give a new daily style for that confident professional look. For the business traveller who endorses the need to travel light but who also wants to keep up with their exercise and need for a smart, professional appearance then staying in accommodation with all the right services available at no extra charge can surely help make business travel less stressful. 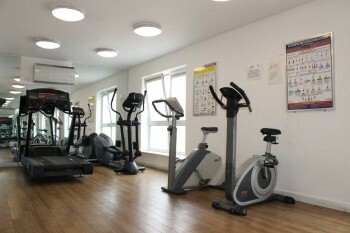 Some serviced apartments even offer guests access to a fitness room, but if not there are gyms and sports facilities close by so too are shops should you realise there was something you left at home!